This year, they had a new friend join them along with Max’s new sister, 9 month old Madi, they also had Maximus the cat, a beautiful hand-knit doll from the folks at cuddle+kind. When Max chose him from the cuddle+kind website, of course being partial to him because he shared his name, little did he know he would be helping raise awareness of childhood hunger. 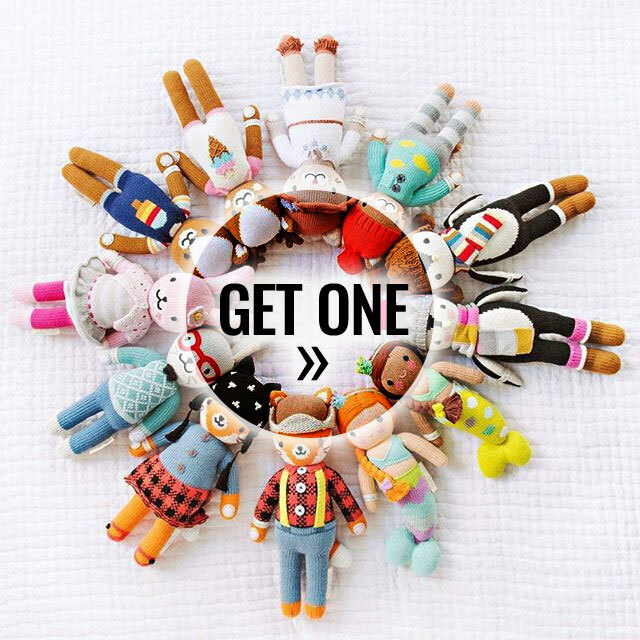 The family behind cuddle+kind made a commitment to help feed children in need by offering these dolls, which are handcrafted by women artisans in Peru, and providing 10 meals for every doll sold. Since 2015, they have given 2,018,063 meals, plus provide over 300 fair trade jobs in Peru. Trish is excited to partner with cuddle+kind, "I share the same sentiment as this amazing family-run company, which is to believe in the gifts that you give", said Trish. "Today for Giving Tuesday, this resonates even stronger, especially after learning more about the hunger problem today’s youth are faced with and knowing the huge impact getting meals into their tummies has." When you purchase a beautifully handcrafted doll TODAY, cuddle+kind will double your impact by providing 20 meals for every doll sold, PLUS, you will receive free shipping on all North American, UK and Australian orders. Use code: GIVETHANKS at checkout and this year, believe in the gifts that you give.